Gov. 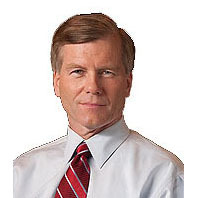 Bob McDonnell today signed the second part of his “Opportunity at Work” legislative package at an afternoon event at the Virginia Beach Convention Center. The three measures signed today will help to increase tourism and attract new business to the state. The governor was joined at today’s signing ceremony by Secretary of Commerce and Trade Jim Cheng, members of the General Assembly, Virginia Beach Mayor Will Sessoms, and stakeholders in the retail, tourism and commercial spaceflight industries. Permits any county, city or town to provide relief from license taxes to any business locating in such county, city or town for the first time, for the first two years after such location.